With the Learning Center ending its 2015 season and we gear up for 2016, it is a good time to just reflect on some of the highlights and achievements we have made in partnership with the Learning Center. Successful Anne G. Broady Scholarship Fund Drive raising funds to provide tuition support for 15 plus students to attend the Learning Center in 2015. Successful Fund Drive to raise $2500 to support the newly paid position of Executive Director for the Learning Center. Provided $400 plus to support the purchase of miscellaneous school supplies and equipment for the Learning Center including a Tablet. Kiwanis Tri-Cities, Washington approved Friends of Copey as an authorized (recognized) project supported by Kiwanis. Sharing a Pen Pal Program with music students attending Sugar Grove Elementary School located in Sugar Grove, Virginia with the Learning Center students. There are numerous other accomplishments including major milestones reached with the Blog during the year to report and we will continue highlighting them in the next Post. Aunt Katherine is the oldest of my living aunts and her life and legacy continues to shine as a beacon of inspiration and self-determination. Her life’s passport was education and it took her to places far beyond this earth. Captain Kirk move over….Aunt Katherine is on her way! A second recognition of importance went to my sister Pat Wright. She has been accepted as a member of the Daughters of the American Revolution (DAR). As a direct descendent of John “The Patriot” Broady, our 6th grandfather, Pat qualified for DAR membership. Our cousin, Gwen Huckstep, became a DAR member in 2014. Gwen resides in southwest Virginia near the area where John “The Patriot” lived and is buried. Membership approval is granted only after extensive and verifiable proof is provided that you are a direct descendent of one who participated in the American Revolutionary War. John “The Patriot” was a slave and owned by Colonel Campbell, the American Revolutionary War commander who led an army of southwest Virginians in the famous Battle of Kings Mountain. John “The Patriot’s” life and relationship with the Campbell family has been of serious interest to historians for years and aspects of his life continues to be researched. 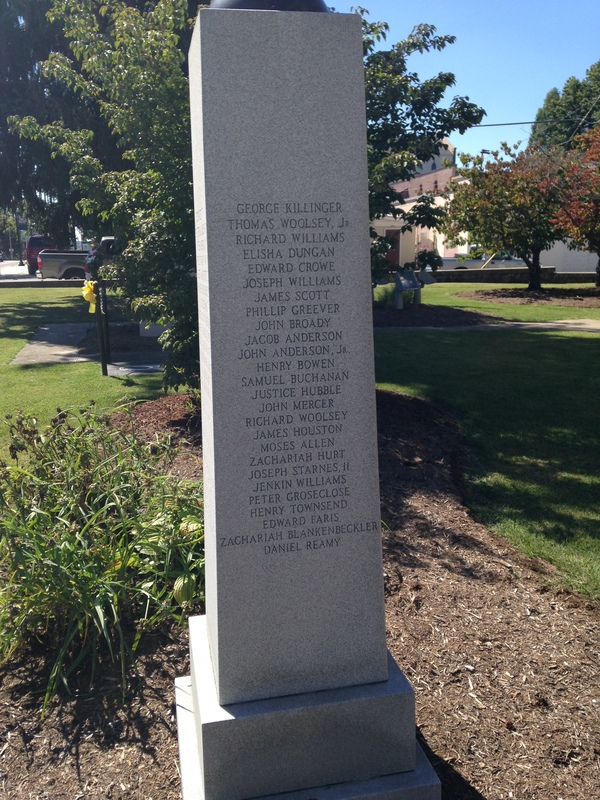 If you are in or around Smyth County Virginia, you will find John “The Patriot’s” name included on the DAR monument located on the Court House lawn. To our knowledge, Pat is the only Afro-American DAR member residing in the Northwest. Both Aunt Katherine and Pat represent the long line of Gobles and Broadys who have distinguished themselves in many areas such as education, the military, the Arts, in the church, business, and community. Personally, I have been lifted up by so many in my family. What a Blessing! I feel honored and compelled to share these personal stories of achievements. Especially in Aunt Katherine’s case, in her early life someone took interest in her and encouraged her to enjoy learning and to set high goals. This is the essence of “Friends of Copey” as we strive to encourage learning and inspire young people to shoot for the stars. As “Friends” You and I can make a difference! ← HAPPY THANKSGIVING TO ALL! Congratulations to your sister Pat and Aunt Katherine. 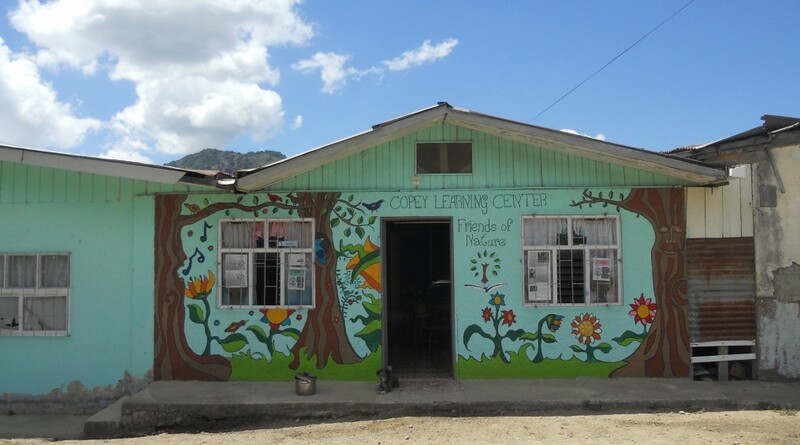 I am very happy for you and your family and for all the milestones that the Learning Center of Copey is achieving. The center is in my thoughts and prayers often. Thank you for keeping us informed. I continue to go back and read about your family’s accomplishments and contributions. You continue this tradition. Congratulations. My students at Sugar Grove will be reading all the good news and seeing the video next week. We have been busy practicing for our Christmas program that will be held tomorrow evening. I know the students will be so happy to hear and read all the good news from their pen pals. Thanks so much for this opportunity. Give my best to your sister, Pat, and your Aunt Katherine. We are all proud of them.